1.75" x 6' (45mm x 1.8m) with 50-100 lbs (23-45 kg). 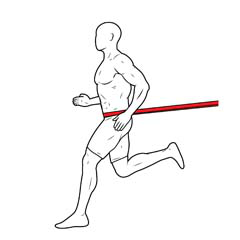 Increase ground force mobility and foot speed. 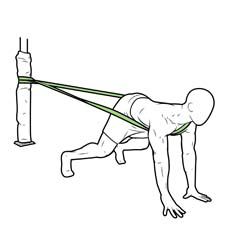 Sprint, hop, backpedal, shuffle, bear crawl or slide as the speed band resists forward motion and builds power. Adaptable for all sports training drills. 2" x 10' (50mm x 3m) with 70-150 lbs (31-68 kg) this speed training band builds athletes from the ground up. Secure to any sturdy anchor or partner and feel the resistance of elastic drag. 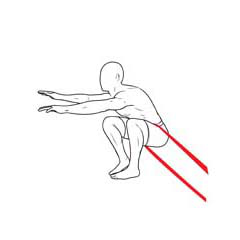 Popular for power drills where athletes explode up or forward. Gain rapid-fire quickness and improve power and explosiveness using our 6’ and 10’ speed bands as a catalyst. Our agility enhancing run and sprint bands enhance ground force mobility and engage slow and fast twitch muscles fibers by adding resistance to forward motion. 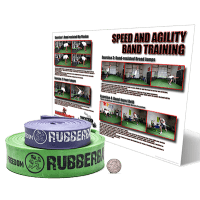 Unlock training gains by adding ascending motion restriction with our speed resistance bands to nearly any agility and speed training regimen. Use our waist resistance bands to stimulate movement efficiency, improve reaction time, accelerate foot speed, enhance lateral quickness, and amplify vertical explosiveness. 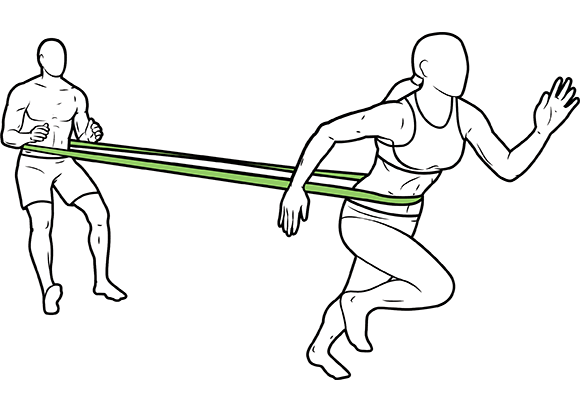 When incorporating our speed and agility resistance bands into your workout, you will be able to see a noticeable difference throughout your overall athletic performance and strength. Try adding a jump stretch band to your exercises today. 6 ft + 41 in bands: Two different sizes offers two different options, with and without partners, for speed training. The 41" band is also useful for squats, lunges and stretching. 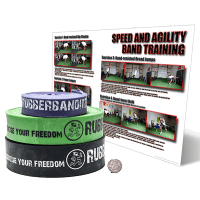 6 ft + 10 ft bands: The dynamic sprinting band duo can tackle any power or agility drill, regardless if you are training quick burst, plyometrics, or stationary footwork. 6 ft + 10 ft + 41 in bands: The full series offers enough equipment to share or structure high-intensity interval training circuits. Also ideal for elite athletes with diverse training regimens. "We used to used parachutes on the track to give us resistance back when I trained as a college athlete. 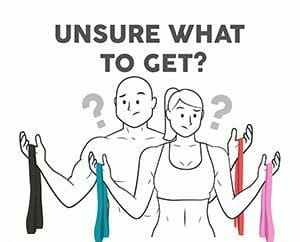 Now that I’m several years out and just trying to stay in shape, I’ve found the big rubber running bands I bought from rubberbanditz are easy to bring with me outside and easy to use with my workout partner. She hates when I bring it out lol." 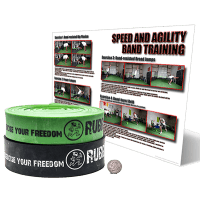 "In the 10 years since I started training high school athletics I’ve never seen another speed training band that could rival the agility band. I’ve tried several smaller versions but the agility bands give way more resistance and are by far the best speed bands I’ve ever tried." "I love that I can use these speed resistance bands for any sprint or distance running on the track. I do a lot of interval training and It’s amazing how much faster I feel when I take the band off and sprint without it pulling me back." "I’m constantly trying to get my D line stronger and more agile. We’ve started using the green band for hitting drills and additional resistance pushing around the sleds. Our receivers also use them for speed and agility work. Overall, I’m really happy with the results we’ve seen and plan to find more ways we can integrate them into our training."